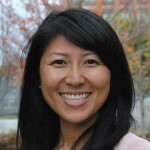 Christina Sequeira is a UBC alumna who graduated with a Master’s (2014) and Bachelor’s (2003) degree in Kinesiology. Her focus during her Master’s degree was in identifying the need for Kinesiologists to collaborate with health care providers in preventive medicine to improve population health intervention strategies for aging and chronic disease populations. She is a certified Clinical Exercise Specialist from the American College of Sports Medicine, a certified Exercise Physiologist by the Canadian Society for Exercise Physiology and she also holds a Level III Exercise is Medicine credential allowing her to work with patients who require clinical support and monitoring. She is a patient advocate and a community health consultant for various government and non-government organizations where she has presented at various conferences and contributed in program development committees. Through the UBC Body Works Fitness Centre, where she is the Program Manager employed by the UBC School of Kinesiology, she has brought her expertise in clinical case management to the forefront of mainstream fitness. For over 10 years, Christina and her colleagues have utilized a population health strategy approach to collaboratively incorporate a unique philosophy into their health and fitness programs, combining principles of athletic training and clinical exercise programming. She encourages patients and the public across the age span to increase their awareness of health and the importance of injury and disease prevention through the participation of individualized and group-based fitness programming.